I did want to post about my trip to Dortmund, but time has been running away from me! As of now I’m fully packed (err, take that as you will) for Paris, and I will be on the bus in 6 hours. Crazy crazy. I just I’ll just do a highlights reel of Western Germany! 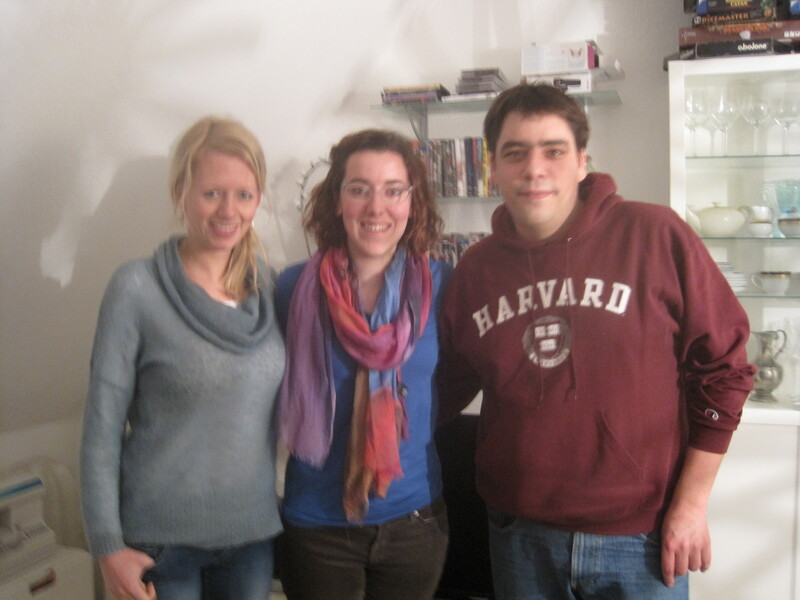 First I stayed with Friederike, a German and French teacher that my mom hosted when I was in college. I’d never met her before, but she was kind and welcoming and really spent her weekend showing me around! We went to Christmas markets in Dortmund (home of the biggest Christmas tree in Europe! ), Bochum, and in Cologne. 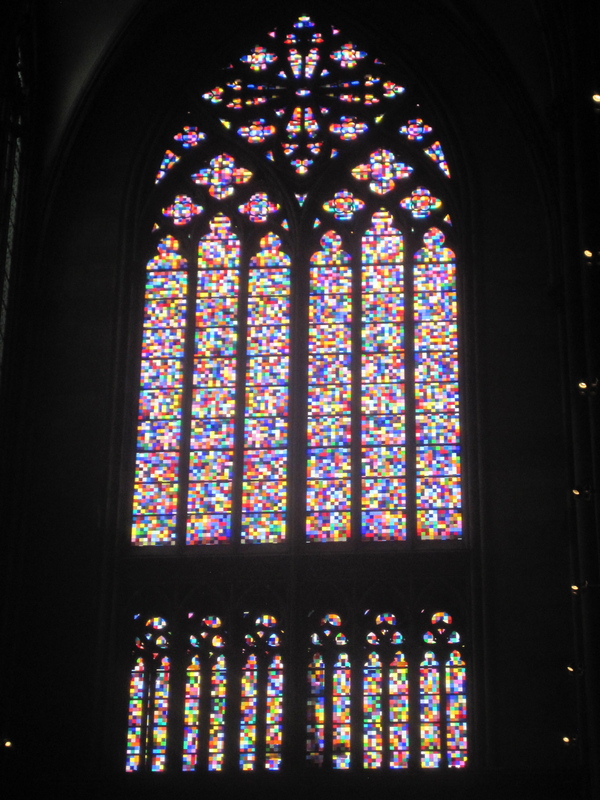 She and her boyfriend (also a teacher, also named Freddie) showed me the Cologne Cathedral, took me out for some meals, and spent some time with some cool teacher buddies. 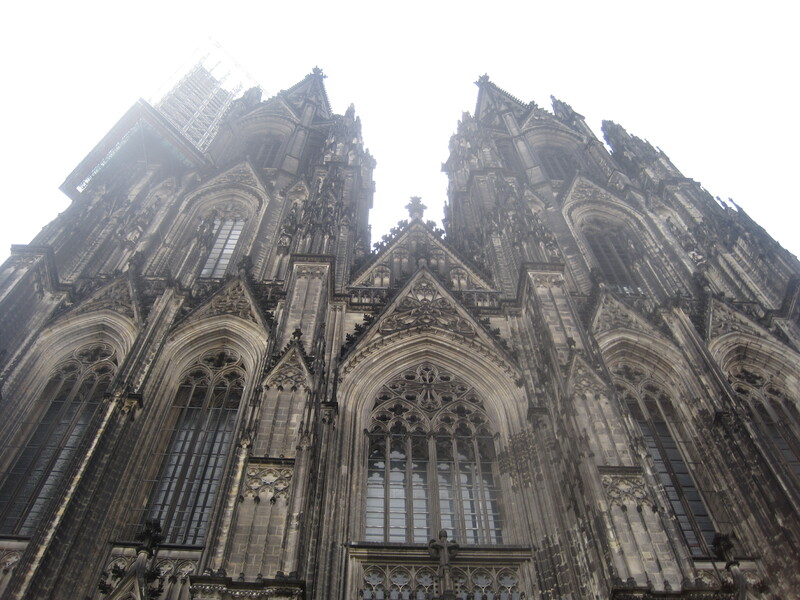 This Cathedral only took 500 years to build! Former Graftonians united in Essen! One night, we went to dinner in Essen (which means eating, coincidentally) to the apartment of Florian, another teacher my mom hosted, at the same time as Friedi. He and his wife made us some delicious Chinese food and we ate cheese and chocolate and did a lot of talking. It was a really fun, jam-packed weekend. Maybe that’s how I’ve been able to write about it so fast, by just cramming in the action words like we filled our days with activities. 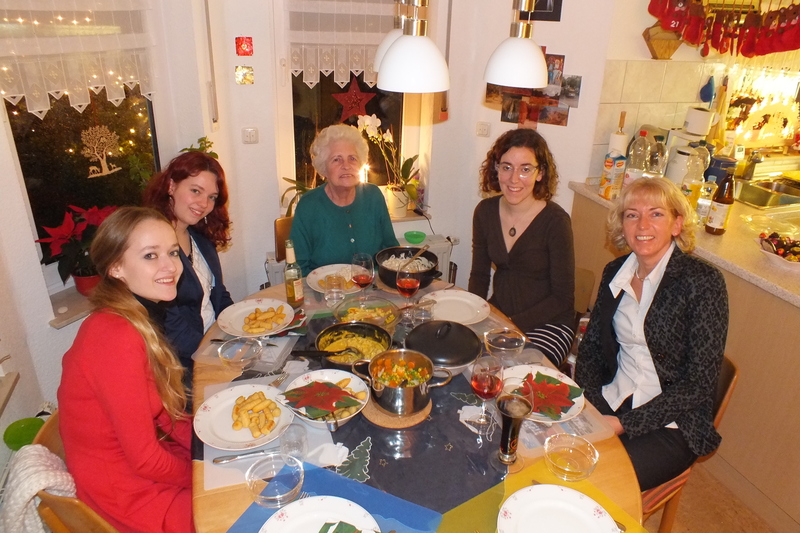 On Monday, I switched houses, going to spend time with the parents of the girls I hosted in high school, Lara and Lena. I hosted them different years, so I’d never seen them together, even though they’re twins! They also have both moved out, living in apartments with their respective boyfriends, so I got a lot of time with the parents, though luckily I did get to see them here and there. 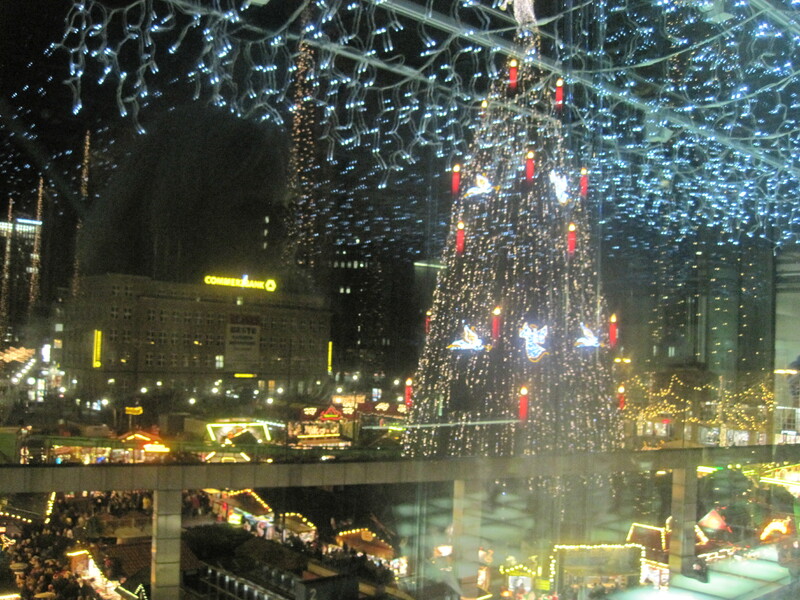 While in Dortmund, I got to experience the magic of a German Christmas (lasting 4 days! ), a lot of eating (mostly cake and potatoes for me! ), a lot of reading (finished The Night Circus and Twilight in just a few days), and of course, some sightseeing. Lara and her boyfriend Michael took me to a giant hill made of coal waste to see all over Bochum, a neighboring city. We also went to the Essen Christmas market, Christmas Eve service at their church, and to a lovely show at the planetarium! Of course, there has been a lot of sitting and eating and speaking German (and a little English too, thankfully). 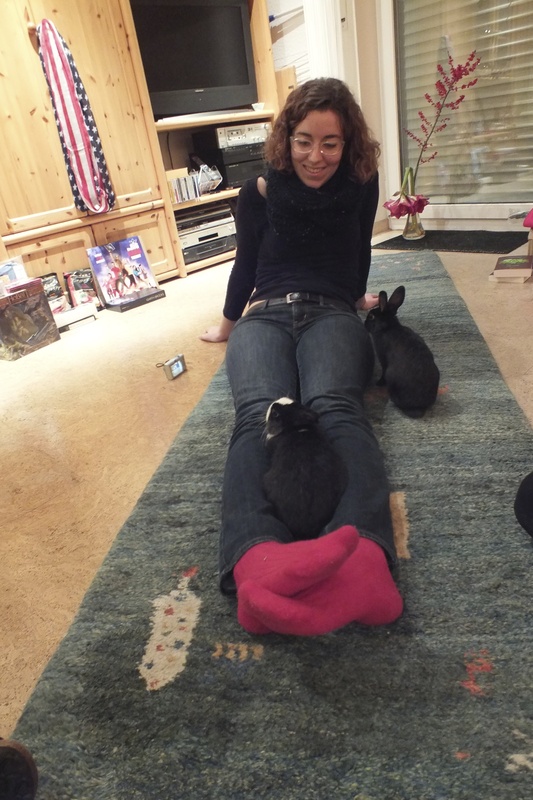 There was even an evening where Lara brought over her bunnies! Tonight’s party is eating leftovers and singing songs– I’m pretty excited, even though I have to leave in the middle of it to catch my bus. It has been a really nice Christmas, and I can totally imagine coming back here for it in a few years. So many people I know, and all so warm and welcoming. Me and Daisy and Sam! So precious. With that speedy blog, I leave you to your relaxing and recovering and say have a happy new year! When you hear from me next, I’ll have been to Paris and likely be back in the good ol’ US of A!